The purpose of this catalog is to help the prospective student make an informed choice regarding the training opportunities afforded by our Schools, and to make clear the responsibilities and obligations of both the School and the student. All information contained herein pertains to all Schools and programs unless otherwise specifically indicated. Exceptions are clearly noted and are marked with an asterisk (*). The Schools listed on the cover page are all owned and operated by the Ohio State School of Cosmetology Corporation, Columbus, Ohio, DBA “Ohio State Schools of Cosmetology”, “The Hair Experts Barber School”, “Nationwide Beauty Academy”, “The Spa School” and “Salon Schools Group”. 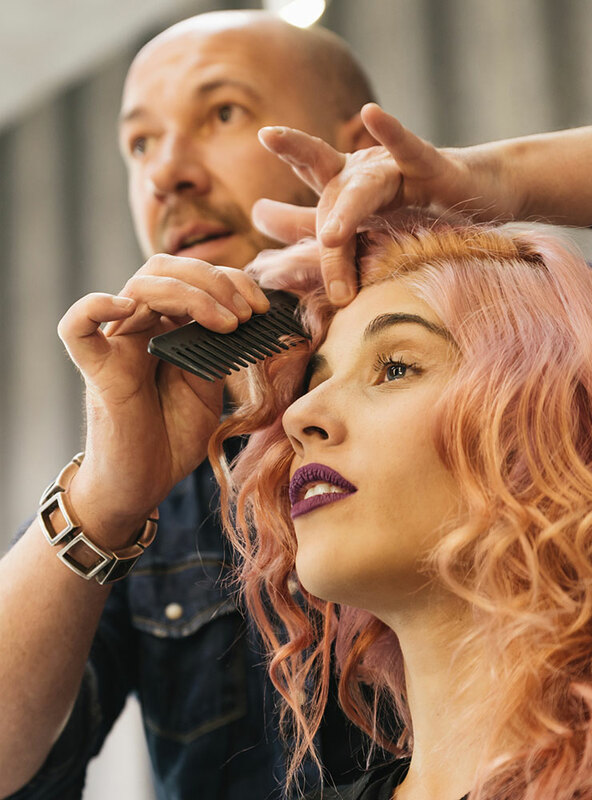 If you want to earn a good income, do something creative, have pride in your work, meet people and enjoy what you do, Cosmetology, Barbering, Esthetics and Manicuring are each avenues of opportunity to a wide variety of fascinating positions – being a stylist in a salon is just one of many. Positions are available as traveling stylists, teachers, color specialists, makeup consultants, nail artists, skin care technicians, spa experts, precision hair- cutters, etc. – IF you have been trained in a school that offers the relevant education and experience necessary for you to compete. We extend a cordial invitation to you to visit our schools and see our programs in action! You will note busy clinics where students get much practical experience. While book work and lectures are important, our experience has proven there is no substitute for actually performing the services on live models (clients), under close instructor supervision. This blend of training produces a graduate not only knowledgeable but also well-skilled to compete and succeed.